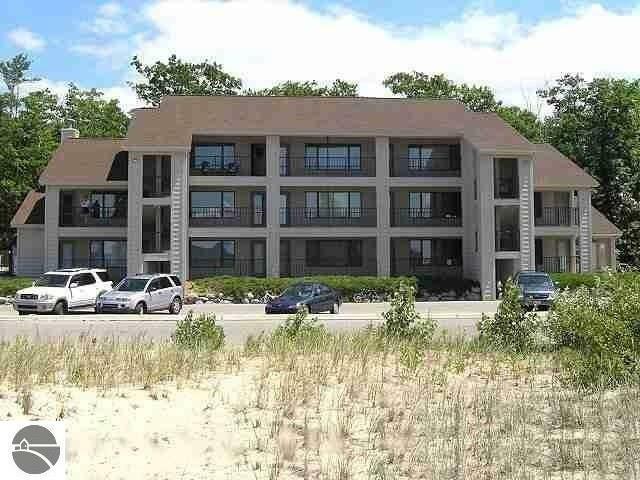 Beautiful Elk Rapids Beach Resort Condo Unit 20. Second floor, middle unit in the North Building. Enjoy the heated in ground pool and expansive views of Grand Traverse Bay and sandy beach across the street with Excellent rental history-investment/getaway property. Stroll the beaches on the Bay right across the street to downtown Elk Rapids, shopping, fine dining, entertainment and more!